We were together 6 days at our Koinonia Youth Culture camp in Ukraine. It was incredible. Worship audio is ready for listening and download. Holy Spirit, fill us up now. Your presence will cover us. Your glory is all we need, Lord. Where You are, we want to be, our God. Let us realize the depth of Your presence. Let us experience Your glory and kindness. Your glory is my home. And I know you are waiting, you are calling me back home. We are not alone, but You are with us, and Your banner is over us. Love. Love. Love. Open my eyes, let me see Your glory. Your love heals my heart. In Your presence I bow before You. I give my heart into Your hands. My Dad. I am filled with Your love as with blood, it flows in my veins now, Jesus. The Spirit of God is inside of me praising the Father. You fill us up by love. You set free by love. You heal by love, Dad. You are so great. You are so mighty. My hope is in You. You are so great. You are so mighty. I bow to You with my heart. Holy Spirit, lead us, fill us up. 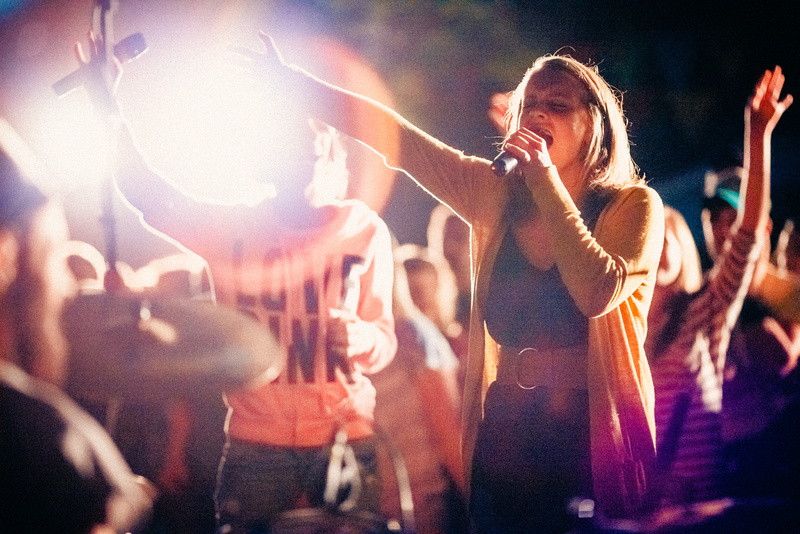 I will sing with all my soul, I glorify Your name. I will sing how great You are with all my soul. I will glorify Your name. I will sing how great You are. Accept my honor. Accept my love. I trust all my life to You. I honor You and who You are. Honoring Him I honor you, because He is inside of you. Our Dad, we lift up Your name is praise, it is worth the glory. Sing louder. Let the world hear the sound of the heaven. If You came as You have promised, pour out Your Spirit. You widen my step, my feet don’t shake. You teach my hands to fight, and I am undefeatable with You. You hear, I am on the edge, I am calling, I am waiting for You. I am thirsty. I am thirsty. I am thirsty. Come! I cannot without You. You are my life. Deep calls out to deep. Your depth is attracting me. You flow like a river, You flow like water, You flow like a river of Ezekiel. Your name. Jesus, I need You. Only You. I am asking You, Come, Jesus. Holy Spirit. Holy Spirit. Precious Holy Spirit. You are my life. I am thirsty for You. My throat is dry. Let me drink You, let me eat You, Holy Spirit. I sing as I can about knowing You. I breath You. Lead me. Call me. Find me. Holy Spirit. Call me, seek me, find me, draw me, Holy Spirit. Beloved, the Only One, Real One. You are my healing. You are my joy, Holy Spirit. Heal me. Praise You, Holy Spirit. I hear You are here. I see You. My mouth wants to drink, pour Yourself. Where the Spirit of God, there is freedom. You look at heaven, there is freedom. Freedom is reigning here, mercy and grace, this freedom will be poured out on everyone. His freedom. We need You so much. We need You. I am thirsty for You as for rain. Feel us up even more. I will fight, I will walk, as long as my heart is beating I will walk. We follow You into the darkness, Holy Spirit is our fire, burn in us. I follow You into the darkness, Holy Spirit is my fire, burn in me. It is unstoppable already. There are those who accepted it. And it means it cannot be stopped. It will go to cities, it will go to homes, it will go to all Ukraine, to all Russia, it will capture the whole world. Culture of Love. Culture of Honor. Culture of His power. They are those who were written and talked about. There are those who accepted it. There are those who will go. And you will not be able to stand. This love will capture you. This love they carry will capture you. It cannot be stop now. It has already begun. Nothing else will be there, there will be only love they carry, He carries. It cannot be stopped. Do you hear me? It cannot be stopped. There are those who accepted it. And they will go and conquer everything with love. There are those who carry Him inside, who carry love inside. They cannot be stopped. They have chosen it. And they will die for their choice. You can kill them, but they don’t die. You don’t have a chance. Listen, there are those who carry His love. And it will conquer. My ocean is You, where the dreams bring me. The lighthouse in the mids of darkness, my ocean is You. The walls are broken and chains are removed. There are no walls between me and my Beloved. Say it inside. There are no walls. I am a man of Your glory, I am a man of desire, I am thirsty for Love. I am exhausted to get Your glory. I am a man of a holy battle. You are a man of a desire. I dive in You, I disappear in You. It is not me living anymore, but You live in me. I know where to seek You, because You are inside of me. Allow me to reign with You in the Throne room of glory. I want glory. I want Your glory.